A large contingent of Australian companies are represented at the Dubai International Boat Show 2008 this March through a strong presence by the Australian International Marine Export Group (AIMEX). AIMEX Chief Executive Mary Anne Edwards said the group had taken increased exhibition space reflecting significant interest in Australian marine products and services in the UAE. 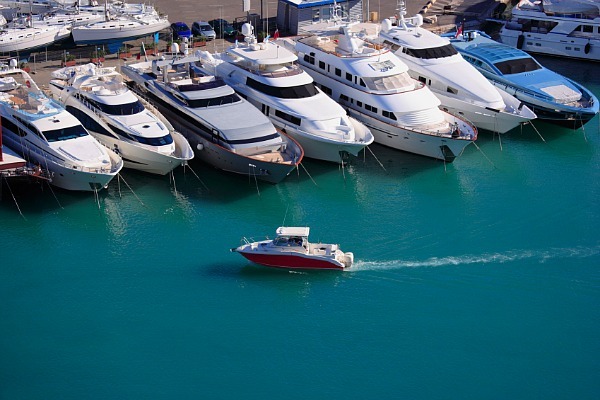 The Dubai International Boat Show is staged at Mina Seyahi from March 11-15, 2008. “A number of our members are making progress in the market with UAE agents and distributors,” said Ms Edwards. A trade mission has been organised from March 4 before the Show funded by the Victorian Government. The trade mission includes site visits, market briefings and networking events to promote Victorian marine exports and introduce members to key buyers in the UAE preceding the Dubai Show. Participants include Fiber Glass International, Gravity International Pty Ltd, Kinetic Technology International Pty Ltd, MultiPanel, Patriot Marine, Ronstan International and Sealite Pty Ltd and Seahawk Australia Pty Ltd.
Companies on the AIMEX stand include Australian Commercial Marine (ACM), Austral Propellers, Club Marine Mandurah Boat Show, Coursemaster Autopilots Pty Ltd, Fibre Glass International, GME, Kinetic Technology International Pty Ltd, MultiPanel, Patriot Marine, Poly Flex Group Pty Ltd, Ronstan International, Sanctuary Cove International Boat Show and Seahawk Australia Pty Ltd. Acoola Marine, Aqualuma Underwater Lighting and Sealite Pty Ltd are exhibiting in the Australia Pavilion and also on their agents’ stands. A number of AIMEX members have their own exhibition space including first-time Dubai attendees Ark Corporation Pty Ltd, Pyrotek Soundguard Pty Ltd, Central Coast Marine Installations and companies such as award-winning EvrSafe Marine Technologies Pty Ltd, Dynamic Products Pty Ltd, Sunrunner Cruisers Pty Ltd, PowerDive and Gold Coast City Council. AIMEX members exhibiting through their agents or distributors include Fixtech, Gravity International Pty Ltd, Maritimo, Riviera and Superior Jetties. GME is displaying its range of marine electronics products including VHF radios, emergency beacons and marine entertainment systems during the 2008 Show, its fifth visit to Dubai as an exhibitor. New products for the Show include the MT403 series of Emergency Position Indicating Radio Beacons (EPIRBs). The series reflects GME customer requests to change the MT401 series battery pack technology to permit the carriage of beacons as ‘non-hazardous’ devices. The change means a reduction in transport costs by eliminating the requirement for a DG freight declaration document prepared by an IATA accredited shipper. The new series has specially approved UN packaging. The MT403 range includes manual, auto release and GPS equipped beacons. The company’s products are distributed exclusively in the UAE by Zener Electronics Services. Ronstan International is showcasing its range of high-tech Orbit Block™ systems. This comprehensive range of innovative racing blocks is aimed at the high-performance racing sailboat market. The Series 55, 70 and 40 will be displayed. Ronstan’s International Sales Manager Peter Dowdney said it was the company’s first visit at Dubai Boat Show. Club Marine Mandurah Boat Show is attending Dubai to promote the event, the largest boat show on the west coast of Australia, third largest in Australia. The Show attracts more than 240 exhibitors and is located at Mandurah Ocean Marina, 50 minutes south of Perth. The 2008 Club Marine Mandurah Boat Show runs October 9 – 12. Gold Coast City Council has booked a stand to promote the region’s significant boat-building and marine services sector. Gold Coast is located in south-east Queensland. Poly Flex Group is attending Dubai for the second time. The company said the 2007 Show was a great success leading to the appointment of a distributor, Turbomot Marine Engineering. Aqualuma Underwater Lighting will reveal details of a new product closer to the Dubai dates. 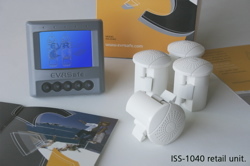 EvrSafe Marine Technologies is showcasing its ISS-1040 integrated multi toxic gas sensory device which simultaneously detects multi gases including carbon monoxide, butane, LPG, nitrogen dioxide or hydro-carbons. ISS-1040 alerts via voice, audio and text of toxic gas presence, isolating the cause and providing solutions on how to rectify the danger. The company has won innovation awards at METS and IBEX. Pyrotek is promoting Subdue, a construction grade composite panel board that provides boat builders with construction material and soundproofing barrier to airborne noise in one. It is the first time outside Australasia the product will be launched internationally. The company has also appointed a branch manager in Dubai. Information will be available promoting the Sanctuary Cove International Boat Show 20th annual show staged May 22 to 25, 2008. The Show builds on last year’s record-breaking event which attracted more than 450 exhibitors and generated $A250 million in sales at or as a result of the Show. Central Coast Marine Installations is showcasing the Wicked Wake Wakeboard Towers and accessories for the first time in the Middle East market. Dynamic Products is displaying its new catalogue marking its 45th year including wakeboards, water skis and inflatable tubes. MultiPanel has undertaken global expansion and has appointed agents and distributors in the UAE region including Pyrotek Soundguard and Cougar Acoustic and Trading Solution. The company now has Southern Cross Marine as a distributor for the UK region. “In 2007, AIMEX members enjoyed significant success at Dubai International Boat Show with confirmed sales and successful negotiations,” said Ms Edwards. Attendance at Dubai International Boat Show forms part of the year-long marketing plan by AIMEX to represent the Australian marine sector at significant international events. AIMEX will also attend the China International Boat Show, IBEX and METS Amsterdam in 2008.